UPSEE 2019 cut off is the minimum marks which consider for admission in UP Colleges. 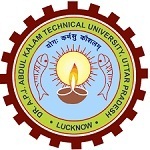 UPTU Entrance Exam is supervised by the Uttar Pradesh Technical University formally known as Dr. A.P.J Abdul Kalam Technical University. It is also known as Uttar Pradesh State Entrance Examination (UPSEE). This entrance exam is conducted for admission in undergraduate & postgraduate programmes in various field such as engineering, management, etc. In this article, we are providing complete information related to the UPTU Cut Off 2019, counselling & admission. The cut off is the minimum marks which candidates have to secured in the examination to qualify the examination. Through AKTU cut off 2019 marks, candidates can predict that he/she will be featured in the merit list or not. After the entrance exam, by referring UPSEE 2019 Answer Key, candidates can calculate their approximate scores. The cut off will be made separately for each category, institute and courses. With the help of UPTU cut off 2019 marks, candidates can decide their choices of colleges & courses at the time of counselling. UPSEE 2019 Answer Key will be released on April 2019. Candidates will be able to check the UPSEE answer key 2019 through online mode. It will be released separately for all the courses. UPTU/AKTU 2019 Rank Predictor helps the students to predict their rank before the result declaration. The rank provides by the rank predictor is not the official rank. The official rank will be declared by the authority. UPTU/AKTU 2019 College Predictor helps the students to find the colleges on the basis of the rank secured in the examination. Candidates will calculate their rank as per marks obtained by them. UPSEE 2019 Rank List will be released in the month of June 2019. It will be prepared for each course separately. Candidates can also check the rank list course-wise. UPSEE Result 2019 will be declared on May 2019. Candidates, who are going to appear in the exam, can check the result through online mode. UPSEE Counselling 2019 will be started from 10th June 2019. It is conducted through online mode. Candidates, those qualify the examination, they are called for the counselling as per their merit. Number of students appeared in the examination. Number of students qualified in the examination. Candidates scores should meet or higher than the releasing cut off to get admission into their preference course/college. The authority will released the merit list on the basis of the cut off marks. Candidates, those meet the cut off marks, only they are eligible for the further procedure. The UPSEE 2019 cut off list will be announced by the conducting authority. But according to the previous year examination, we can predict this year cut off. After the announcement of the result, the counselling procedure will be started. UPSEE 2019 Counselling will be started from 10th June 2019. The authority organizes UPTU/AKTU Counselling 2019 through online mode. The counselling begin after the announcement of the all board results. Candidates will be called for the counselling procedure on the basis of the merit list. In the counselling procedure, candidates have to select courses/colleges on the basis of their preferences. The seat will be allotted to the candidates on the basis of rank, merit list, availability of seats, etc. Candidates have to report at the allotted college after the completion of the counselling procedure in a given time. The reporting is important to confirm their seats in the allotted college. Candidates have to submit the admission fee at the time of admission. Candidates documents will also verified at the time of admission. If any documents find wrong or invalid, candidates admission will be cancelled. If you have any query about UPSEE 2019 Cut Off, you can ask your query here. Sir i secured 268 marks .kya mujhe koi goverment college mil sakta hai. Sir I got about marks 264 in upsee 2016. I want to admission in CS branch. Can I get a Government College. I am General caste. Advice me which branch and college I can get. Can I take admission plz give succession me.
. I am in OBC category, can I get govt. college. i have got 320 marks in uptu paper 1 .can i get admission in any government colleg like hbti in general girls category. How many mark got to addmittion in goverment coll . My accepted marks and rank in uptu 236 and rank around36000 belong to sc category . Can i preffer to get electrical branch in iet. sir, i expected mark 135 in paper 1. i can get govt. college. my category is sc. i m suppose to get 430,will i be able to get into HBTI. My expected marks in UPTU is 272. I am in OBC category, can I get govt. college. Sir, my upsee rank is 120.and I am gen.candidate so ,can I get any biotech college? what would be my expected rank! Sir,I got nearly 250 marks. I am in obc category. Can I get a government college? My except mark is 250. I want to admission in cs branch .can I take admission plz give succession me. I m getting 120 marks in uptu 2016 and I m an obc candidate so can I get any b pharma government collage?? I could secure only 124 marks which college &branch I can get. Kya mujhe uptu ke kisI college me admetion mil sakta h..
sir i score 560 what will be my accepted rank? sr my predicted score iz 272 …i am an obc girl…..can i have a list of colleges i could get…..??? The colleges list will be provided soon. Plzz.. tell me shall I get admission in govt. college ?? we can’t predict whether you will be getting government college or not. this will be decided after the cutoff. My marks in upsee is 180. Which college is suitable for me. You may go through UPTU Rank Predictor 2016 – College Predictor 2016. Check your rank from here UPTU Rank Predictor 2016 – College Predictor 2016. Visit UPTU Rank Predictor 2016 – College Predictor 2016.
you can check UPTU Rank/college predictor tool. sir, my expectrd rank in upsee general rank is 25000 and gnaf quota is 1000. Can i get any government college. Check UPTU Rank Predictor 2016 – College Predictor 2016. Hi.. I am getting 508 marks out of 600. Will I be able to get CSE in HBTI? Please help and tell. you can check UPTU College/rank predictor 2016.
you said less than 120 > 90k ranks and in other words you said 25% is need to qualify am confuse as i have given poor. This data is based on last year analysis..Wait for the cutoff of this year. You can predict colleges from here UPTU Rank Predictor 2016 – College Predictor 2016. If I have scored 364 marks in uptu . I am a female candidate. I want Cs or EC . You can check UPTU Rank Predictor 2016 – College Predictor 2016. It will depend upon the cut-off released by colleges. You can check your rank from here UPTU Rank Predictor 2016 – College Predictor 2016. My expected rank for upsee 2016 is 25000. Can I get aeronautical engineering as my branch? You may go through this article UPTU Cut-Off 2016 for UPSEE. Sir i m able to score 340 marks in upsee 2016 from General side…! Can i have chance to get btech civil in good government college in UP…? You can go through UPTU Rank Predictor 2016 – College Predictor 2016. My expected marks in UPTU 2016 are 280. I am in OBC, female and defence category student. Advice me which branch and college I can get. Go through UPTU Rank Predictor 2016 – College Predictor 2016. My expected marks in uptu is 155 then what my rank? Can i get any government college? My category is OBC. But 91 que attempt kya hu..
Kya mai qualify kr skta hu…. I get 180 marks in uptu for 2016-2017 then what my rank? Can i get any government college? My category is SC. My expected rank in upsee is 30,000.i want to take admission in machenichal engineering which college suits me.